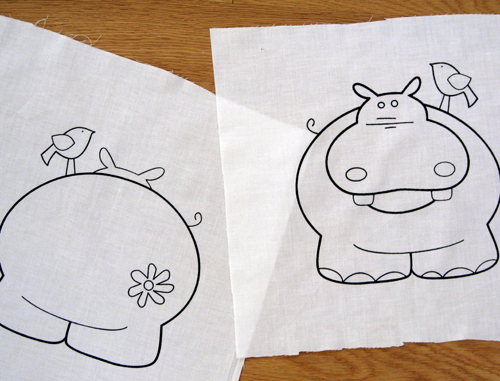 The hippo's are all ready to be sewn and stuffed. The tea towel print needs some minor adjustments (and I need hubby to make me a longer screen) and then they are ready to go! 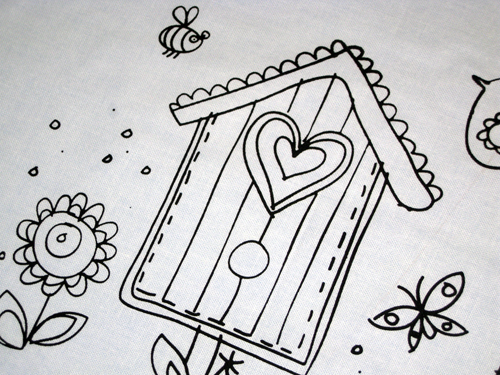 The picture is printed along the bottom of the towel and there will be some fun text across the top of the tea towel. I am SUPER excited about these. The picture is hand drawn, which gives it a lovely fluid and relaxed feel. more of a particular item, please message me and I will add what you are looking for to the shop. 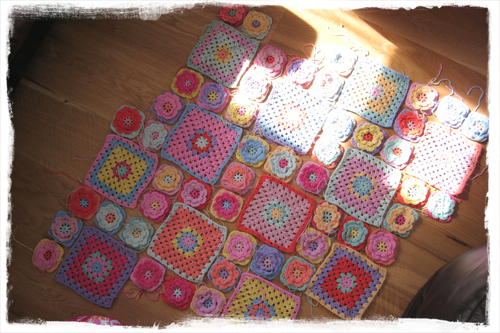 The small flower squares are about 7.5cm square and the big ones are about 15cm square. I have used 12 colours of wool, and have already run out of the cerise pink. A lot of the other balls have dwindled to very little, so not much more square crocheting left - because when the wool is finished, the blanket will be the size it will be. The blanket may well end up being an odd sort of shape, rather than rectangular. I am not quite sure yet how all the squares will go together, but am quite liking the arrangement in this photo. The flower square pattern is from here, and the big square pattern is from here. I have been meaning to post the original coloured in Emma doll for some time now, just not quite getting around to it. But, here she is! 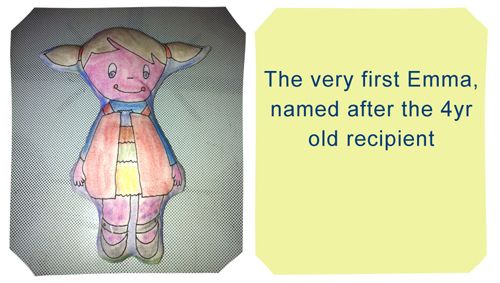 She was hand drawn, the dolls are now almost all screen printed, and bigger than the original. 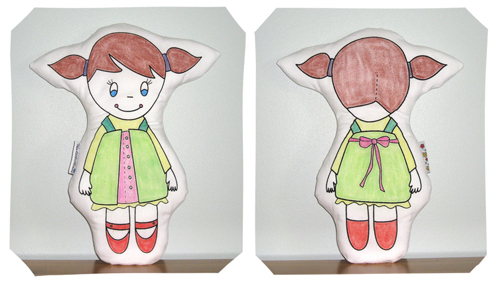 This coloured doll example has been added to the shop. 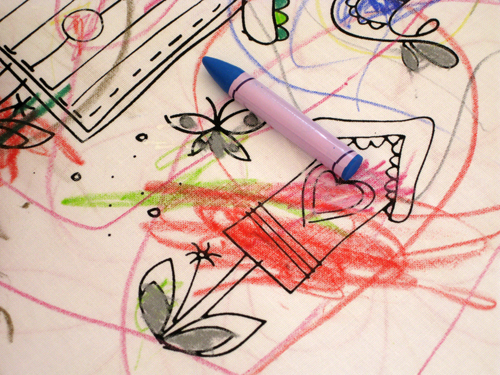 I coloured Emma in with fabric crayons. You could, of course, colour her however you see her - maybe she is wearing a spotty or flowery dress, or stripy tights? Send me your take on her and I will post it here. I found this little peek-a-boo book the other day, and thought that my little person might like that. But I didn't want the contents to be permanent - I want to be able to change it as the girls get older. 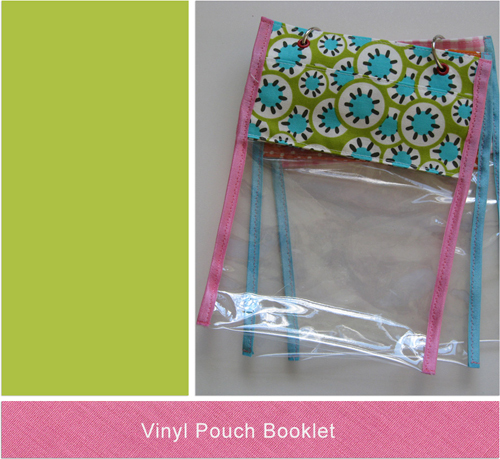 I remembered this organiser vinyl bag and these little toy bags. A few weeks passed as my brain mulled it over and this is what I have come up with. Kind of a combination between the organiser and toy bag. 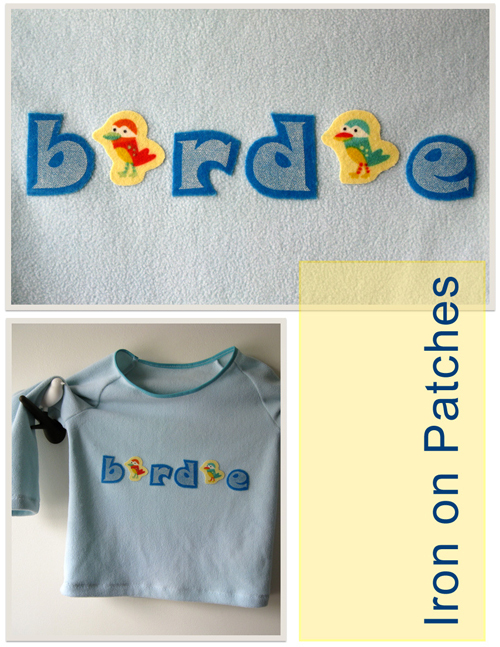 I still want to make a fabric cover for it that will also clip into the rings, and sew/appliqué/something the girls names on to them. I have a while still, as these will be for Christmas. Boring White Fleece...not any more! Ava needs new jammies - she is becoming a little scrawny string bean and all her other winter jammies are starting to get too short for her. I bought some cute flannel prints a few months back with the idea of using them for pants, but wasn't sure what I would use for tops. 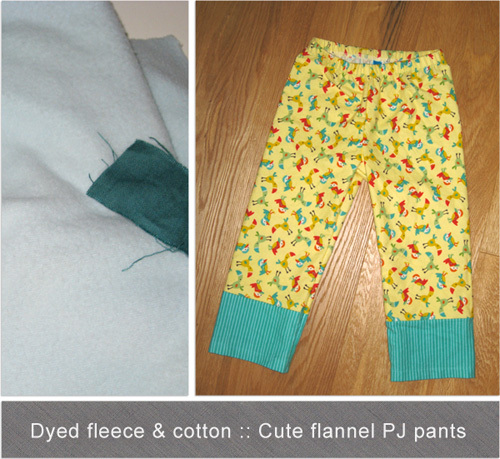 Her other jammies (all bought) have lovely soft and snuggly fleecy pants and tops....which I didn't know if I would be able to find in fabric lengths. Only after I bought the fabric and dye did I wonder if it would dye acrylic fleece? It does - yippitty yay! I dyed a piece of cotton at the same time as the fleece - just to see how strong the colour would be on that. As you can see - the fleece is a lot paler, but it is definitely not white. Out of interest, the fabric was in the bowl of dye for 1.5 hours. So I am super duper pleased that fleece is dye-able. Now I just need to find time to sew up the jammie top. There are a few tutorials around explaining how to make your own screens....this is how I do it. Rule #1 - make sure little fingers and toes are attached to little bodies taking a nap. Staples guns are not for little people to be around - and staple results are severely hampered by a case of the "Mommeeeeeee"s.
I used a little wooden picture frame - overall size about 15x20cm which will hopefully allow me a printable size of around 10x15cm. 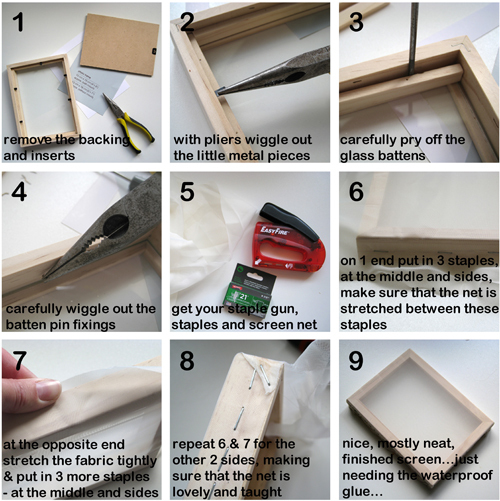 Hubby has made me nice big A4 printable sized frames before with lovely smooth and flat wood screwed together - I used the exact same method to stretch net on those too. They are my favourite frames, and I have a few. So here is my little 'how-to'. If you are lucky enough to get a frame that hasn't got the glass fixed behind annoying battens like mine was, it is all a whole bunch easier and quicker to do - just skip out steps 2-4 and remove the glass at step 1.